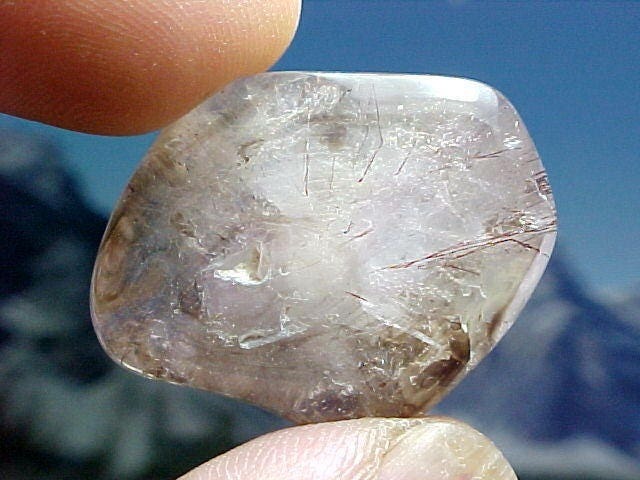 You are viewing this lovely Agape Crystal Tumble stone which has been polished to perfection in order to maximize the beauty of the mineral inclusions within. It measures 1 3/8x1 1/8x3/4" and will make a wonderful and unique addition to your collection of semi-precious tumbled stones. Great for a wire wrap pendant, ask us how!